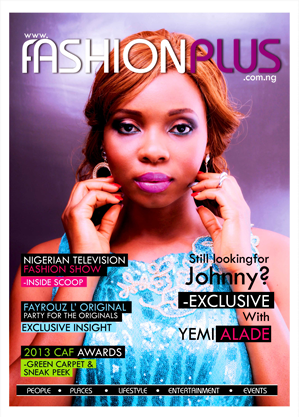 Diva Yemi Alade covers the January edition of Fashion Plus Magazine, an online magazine dedicated to style and fashion. Apart from been an all-round entertainer, Yemi Alade has a daring style and so we were excited to feature theJohnny crooner on the magazine. 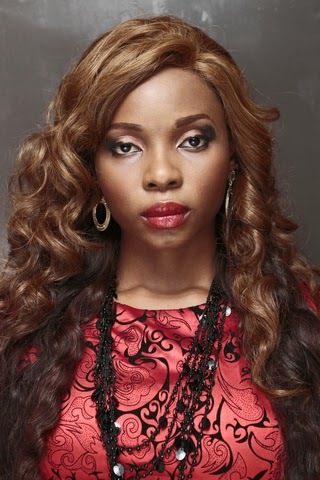 Fashion Plus correspondent Oreoluwa Shodayo spoke to the fierce singer about her challenges as a musician, her plans for 2014, her love life and what fashion means to her at the photo shoot which took place at Spades Lounge, Magodo, Lagos. In her words; "Fashion to me is an attitude. A 1.5 million naira LV purse will never look on point if you are not rocking it with the right attitude". The edition also features exclusive from the green carpet and sneak peek of the CAF Awards, inside scoop on the Nigeria Fashion Show and more.